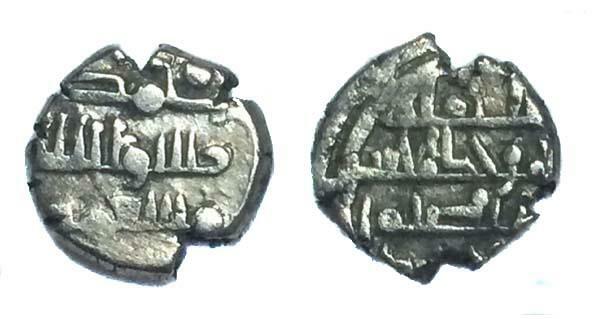 Ghaznavid,Masud,1031-1041,AR 1/5 dirham struck in Sind and Multan. weight 0.63 gram size 8.47 mm.Rare. Kidarites,Hunnic kingdom in Ghandhara/ Kashmir smast,bronze Obol.5th-6th Century AD Rare.